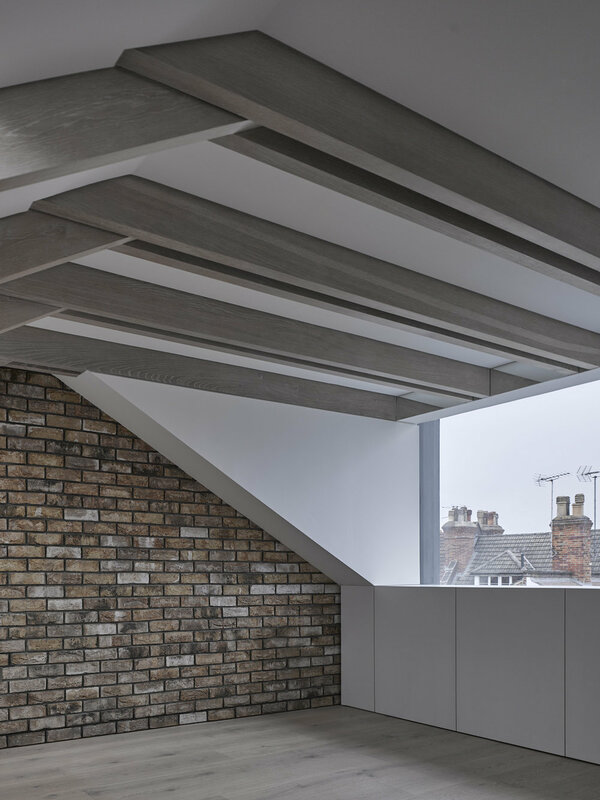 The client’s brief was to provide additional space for their growing family; due to the relatively small size of their garden, the only option was to extend into the roof space. This was contentious; the house is in the centre of four unique Victorian properties, in a conservation area and none had adapted the roof. A distinct feature of the rear elevation is its flatness. The roof addition has a layer of depth which responds to the existing condition and reads as a delicate element on the roof. The result is a thin steel reveal providing a lining to the new space. Internally there was limited floor to ceiling height. The new floor was positioned in the centre of the plan, ensuring that windows/light into the existing bedrooms were maintained. 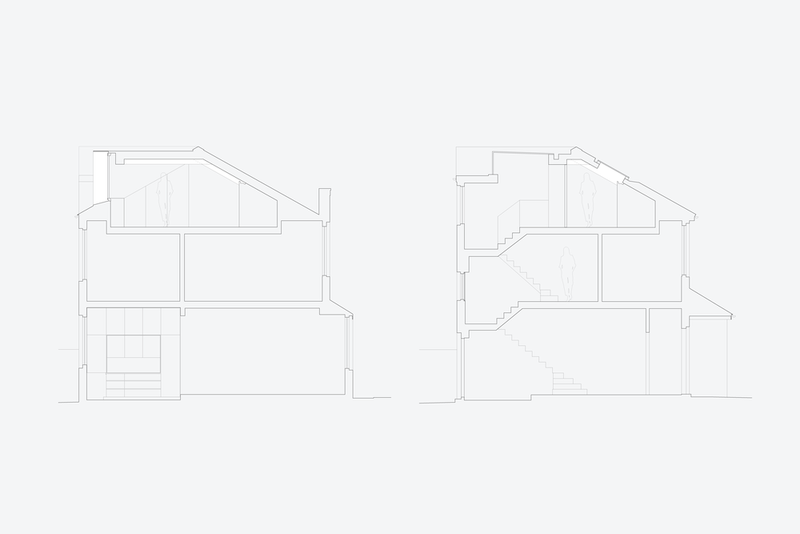 Access to the new floor required a pop-up over the new staircase, this gave an opportunity to provide an unobstructed view to the sky and surrounding rooftops at the end of the journey up the stairs. A white washed oak stair gently touches the half landing, leading the way up into the new space. Entry into the new master suite is through a Valchromat lined threshold further accentuating the departure from the existing to the new. In the master suite, the roof structure is revealed – white washed oak beams run across the space, culminating in double oak beams in the flat dormer element which extend to the large window and beyond, linking the space to light and outside in conjunction with the thin steel reveal.